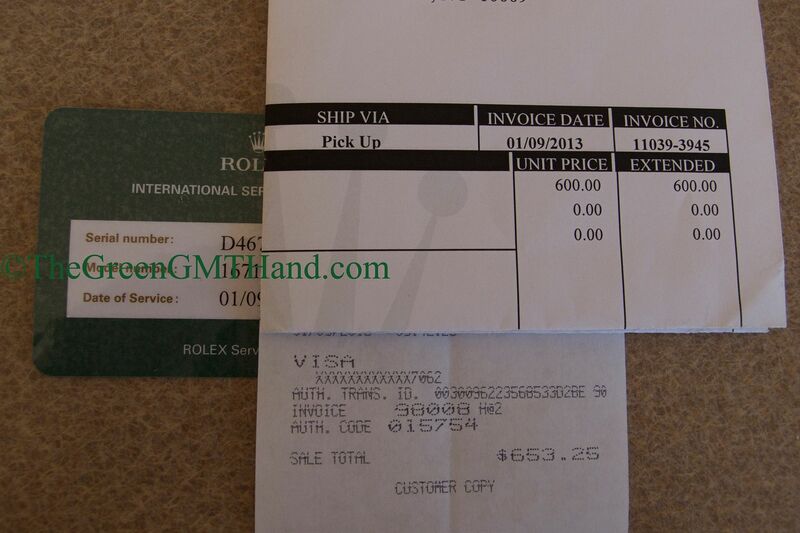 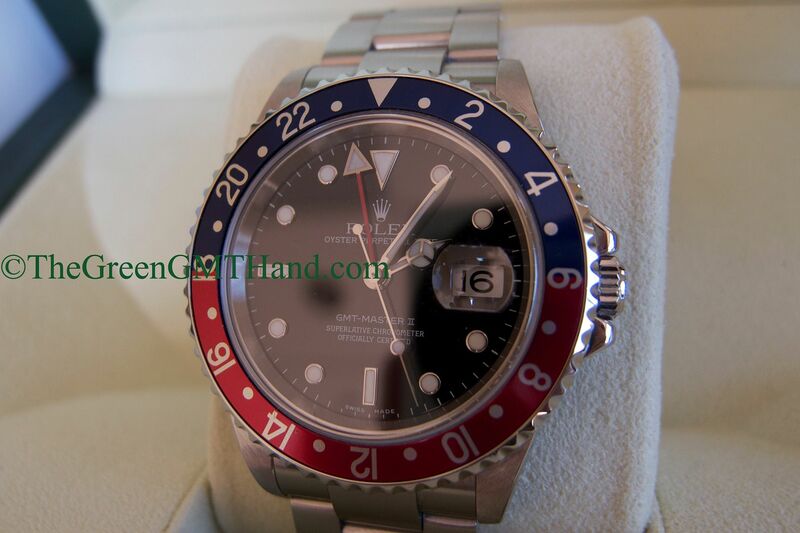 One of the best Rolex 16710 GMT Master II we have ever sold. 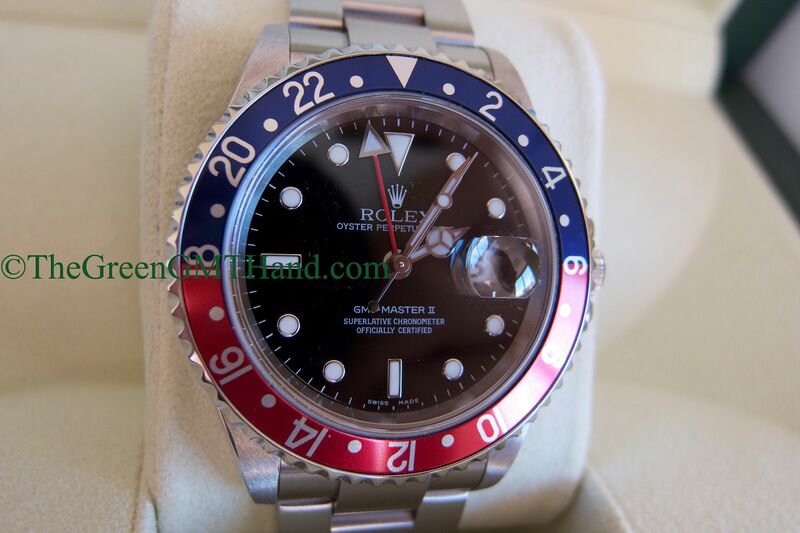 This D serial 16710 comes on a blue and red “Pepsi” bezel and the original owner sent it in for a $635 service and cleaning. 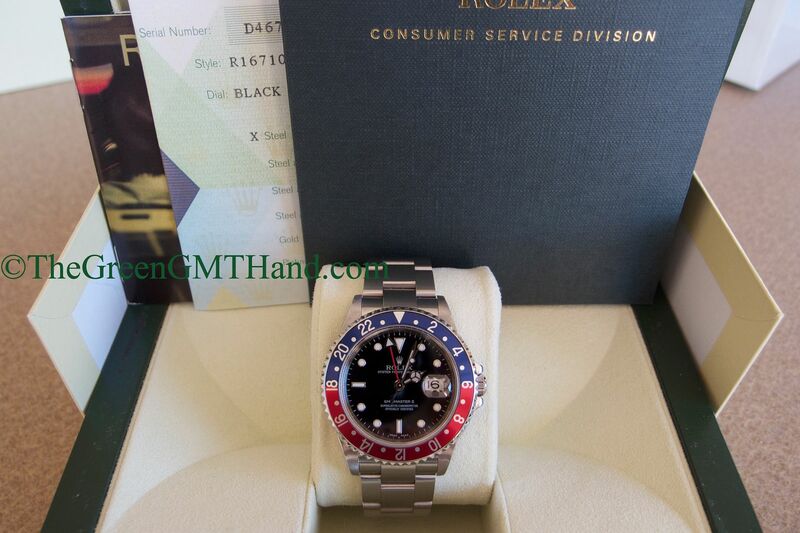 We SOLD and delivered this set to our client complete with original boxes, warranty paper, manuals, and Rolex RSC service guarantee with warranty. 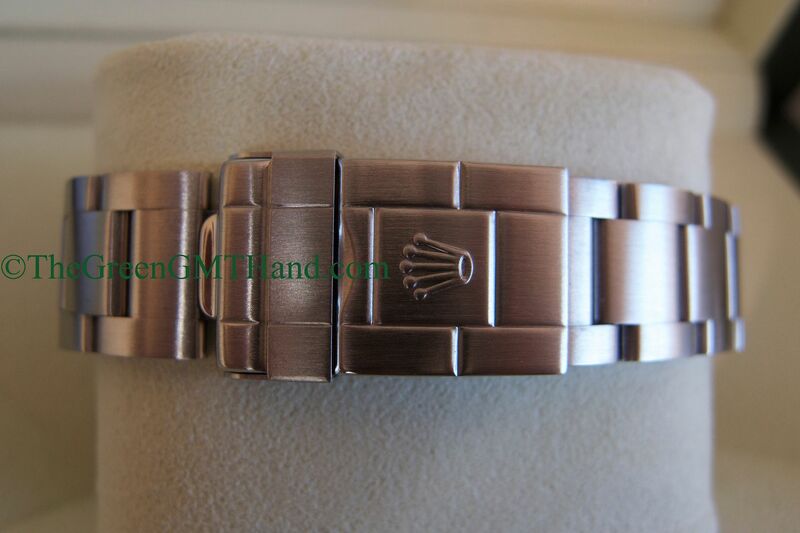 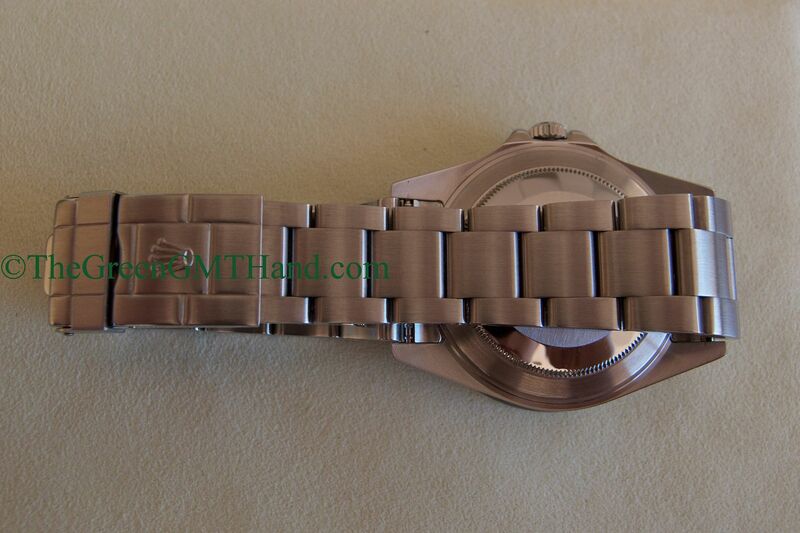 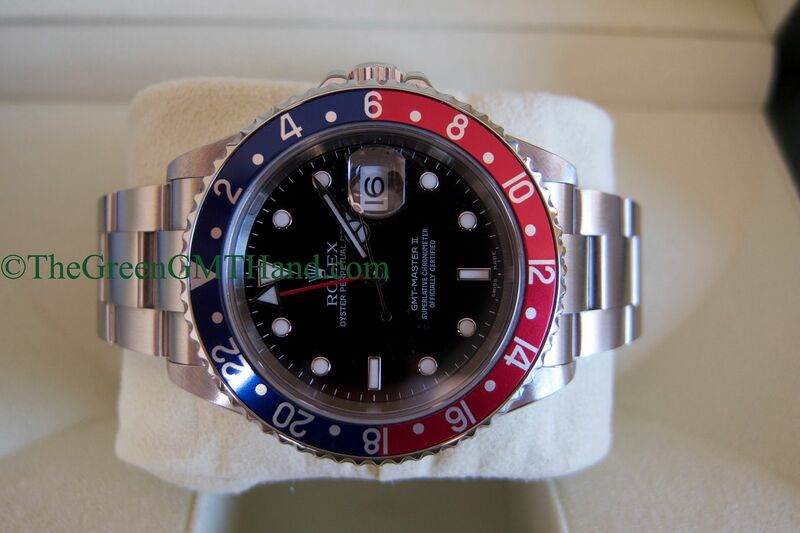 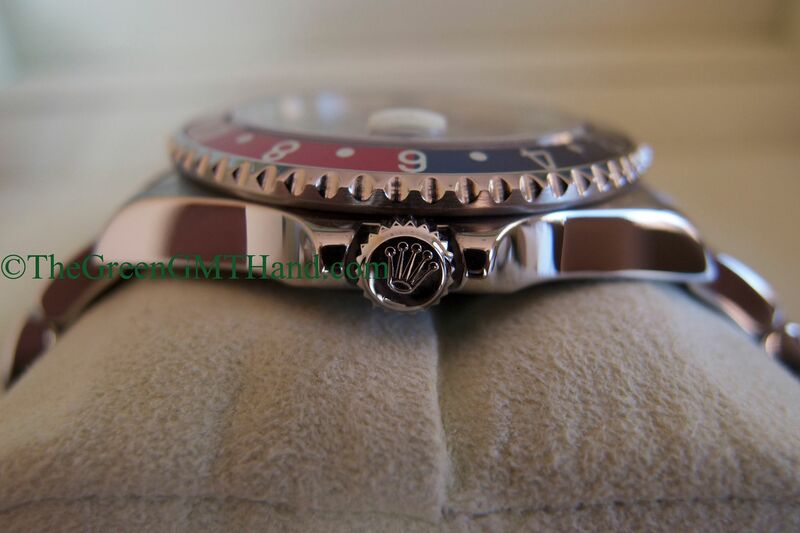 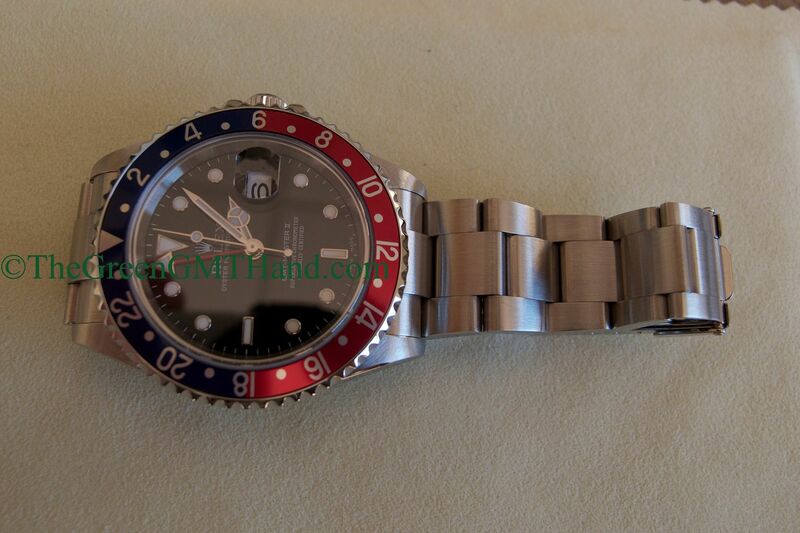 This 40mm Rolex 16710 GMT Master II comes in black, Pepsi, and Coke bezel options. 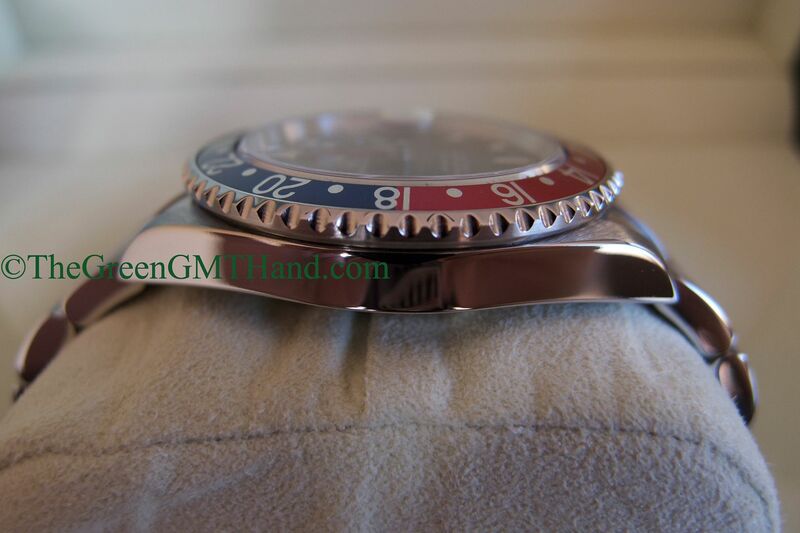 It housed a caliber 3185 movement until the late Z serial, when the movement was changed to caliber 3186 with parachrom blue. 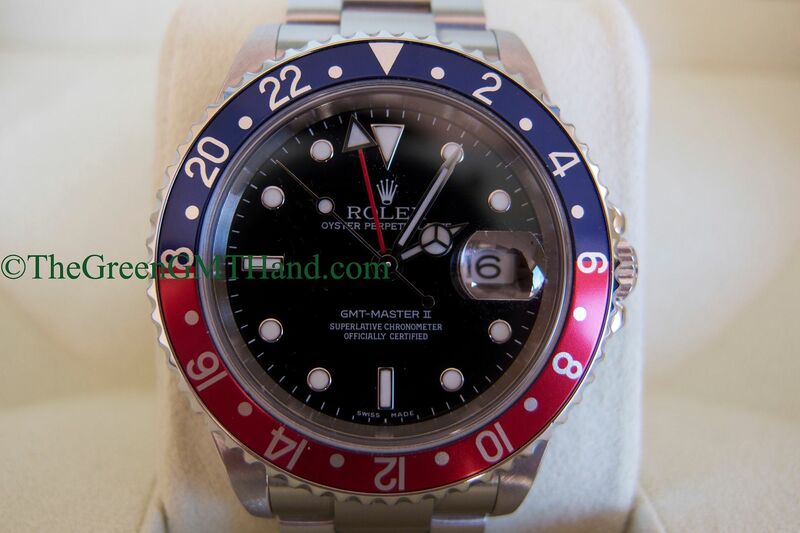 This model has been discontinued for the ceramic Rolex 116710 GMT Master II, which comes in black and a black/blue ceramic bezel. 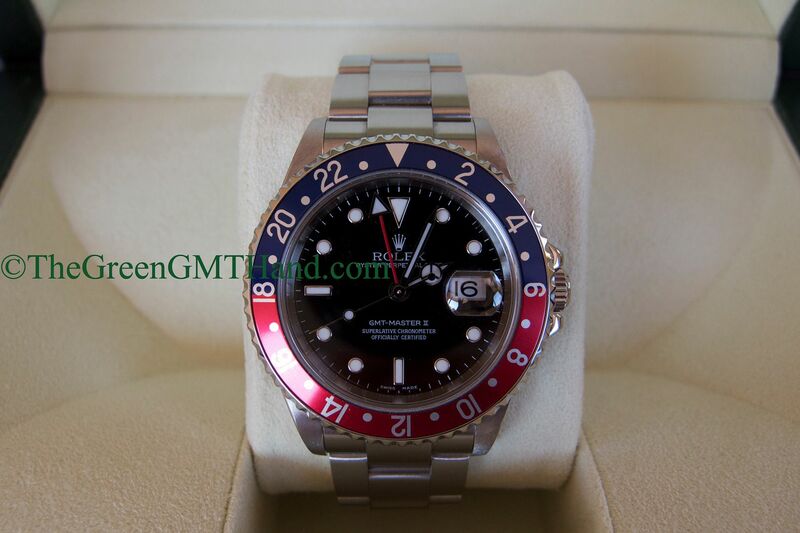 Unlike the 16710 that could be fitted with both an oyster bracelet and a super jubilee, the newer 116710 ceramic GMT Master II only fits in a reference 78200 oyster bracelet with easy link comfort adjustment system, though we have seen our customers successfully fit a REF 63600 super jubilee using the original 116710 spring bars.